Rex Lyons is the respected guitar player, vocalist and band leader of The Fabulous Ripcords. 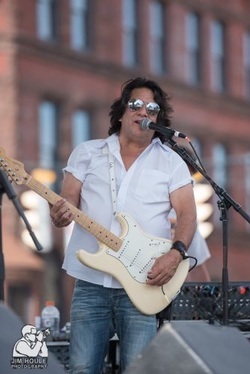 Recently inducted into the Blues Archive Hall of Fame, he sits in regularly with Los Blancos, Pete McMahon, and other local luminaries around CNY. Rex’s style is equal parts country, blues, rockabilly, and swing. Rex is best known for his work with Whiteboy and the Wagonburners, which rose to local and national acclaim. Rex has also played with The Roustabouts. Irv Lyons Jr. is a talented vocalist and guitarist with a distinctive latin jazz influenced sound. Irv writes most of the original material for the Ripcords including "If You Love Me", a track that was included in the "Crooked Arrows" movie sound track. Performing flipped around and upside down, Irv will intrigue you with his sultry vocals and finessed guitar playing. The newest addition to The Ripcord stable, Tom Withowski is a well known veteran of the Syracuse Music scene. "For me it all began with my parents taste in radio stations and records. They took me to see Elvis when I was nine years old which led to a keen interest in music which began as trombone lessons in 4th grade and Piano lessons not long after that. I got to meet Rik Emmett of Triumph at 15 years old which was a turning point as I began singing and playing guitar and bass, and became committed to the goal of becoming a professional musician." Tom has studied music at O.C.C. with William Harris, and at Syracuse University with Bill Dicosmo. 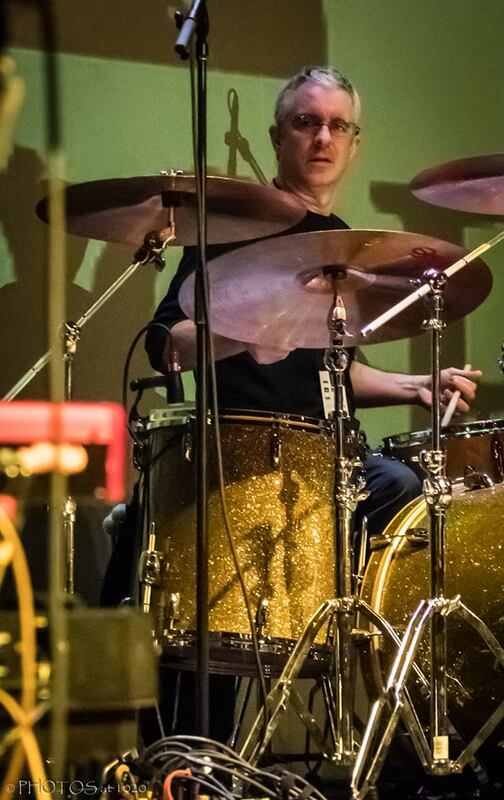 Tom has been featured in many local bands such as; Roosevelt Dean's Blues Band, Under The Gun, Dunes and The Del Tunes, Salt City Jazz Collective, Atlas, Ronnie Liegh and many others. He has performed with national names as well; Gene Chandler (Duke of Earl), Freddy Cannon, Eddie Shaw, Charlie Thomas (Drifters and New York Voices), and Pete Seeger to name but a few. Tom serves as music director and contributor to many local theater group orchestras, and is involved with The Excelsior Band with our own Jeff Stockham. His involvement with The Ripcords began with his writing and arranging horn section parts, and playing trombone in the Boneyard Horns as they were added to our show. He joins the band full time on the keyboards and vocals. Steve Palumbo is the newest member of The Ripcords. Steve toured throughout the USA with the San Francisco based band Dead Ringers which at times included David Nelson (New Riders of the Purple Sage, Jerry Garcia Almost Acoustic Band), Tom Constantin (Grateful Dead), Pete Sears (Jefferson Starship, Hot Tuna) Matt Kelly and Barry Flast (Kingfish), and David LaFlame (It’s a Beautiful Day) amongst others. Somewhere around 1995 Steve played in a Charlottesville, Virginia based band Magic Hat with various members from the band Indecision including Skaneateles native Doug Wanamaker. 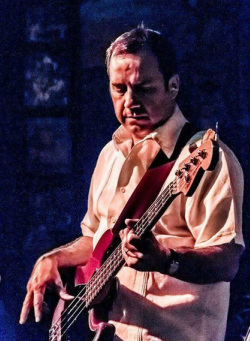 Steve has played in several Syracuse based bands such as the Homel Alaniz Band (SAMMY Hall Of Fame Inductees), Casual Dogs, ESP, The Billionaires, Larry Stamatel, The Matter, and the Royal Paynes. He studied Music Education at Ithaca College and Percussion Performance at Syracuse University and is currently the band director at Geneva High School in Geneva, NY. After somewhat of a hiatus from the gigging scene Steve jumped at the chance, albeit under tragic circumstances, to attempt filling the large shoes of beloved drummer Dave Read.